Generator has announced it will roll out a new, eight-week digital training programme in January next year as part of a continued strategy to reduce the North East skills gap. The latest Digital Bootcamp aims to deliver valuable agency and project management experience for those wanting hands on digital skills and will be delivered by some of the region’s shining digital lights including Sage UK, Daykin & Storey, hedgehog lab, Orange Bus and Gospelware. The programme is aimed at organisations that want to get up to speed with the current digital landscape and help upskill employees with practical skills to manage and deliver cutting-edge work. Topics include presenting, written communications, social media and client interaction. Generator CEO Jim Mawdsley said: “This is probably the most extensive digital programme Generator has ever put on. Since taking the reins of Digital Union, the team at Generator has become heavily involved in the Skills Agenda of the entire North East tech sector and the biggest complaint from members is that graduates still aren’t prepared for the world of work. While this programme would undoubtedly help bridge the skills gap through practical training designed by the best agencies in the region, this Bootcamp isn’t limited to graduates”. 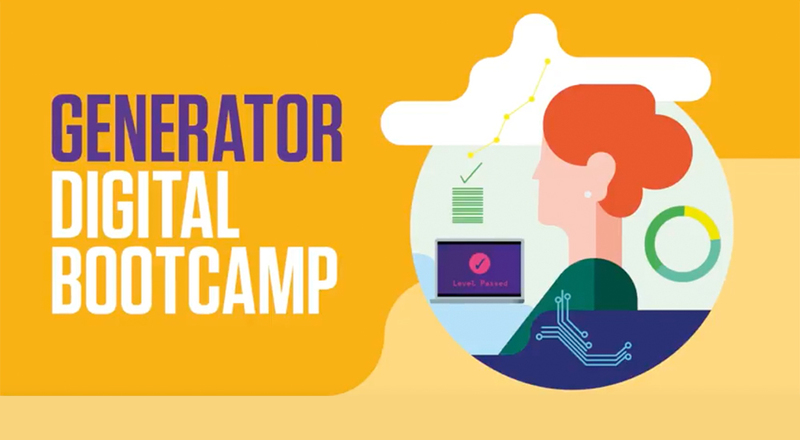 The Digital Bootcamp is designed to be accessed as a full package, embedding a complete set of skills and behaviours through an intensive programme. It is suitable for both businesses large and small and will be run on a day release format, starting on January 24th at various locations around the city, including three full days on site at Generator’s agency partner’s offices. Reacting to this announcement, Michelle Rainbow, Skills Director, at the NELEP added: “The Digital and tech industries are growing in the North East at a faster pace than in any other region of the UK and while this sector is thriving it faces a severe skills gap in both the technical and practical areas of how the businesses operate on a daily basis. To launch the programme, Generator is hosting an exclusive event on December 12th. Further details will be announced soon.